Morgan and Kameela are a young couple who dream of taking a new step in their lives, however, due to an impulsive mistake, Morgan is faced with a strange woman who can change their destinies forever. They have to deal with the possibility of losing their dream, but what if pure love can change the life events? This short film is the first international work produced by Cinemadiccion, written and directed by Carlos Dittborn was based on the original idea developed by Andrés Aguirre who also was the Director of Photography and it was filmed in May 2012 in London, UK. The production featured a British cast and a team of professionals from UK, Chili, France, Bulgaria, Italy, Serbia, Brazil and Colombia. The musical score it's made by the Chilean composer Pedro Santa Cruz who work from Valencia, Spain and the Sound Post-production was done by Attic Sound Studios in Belgrade, Serbia and was in charge of Mićun Jauković, Dako Puac and Nenad Aleksic. During the month of May, was the filming of the first international short film, produced by Cinemadiccion. 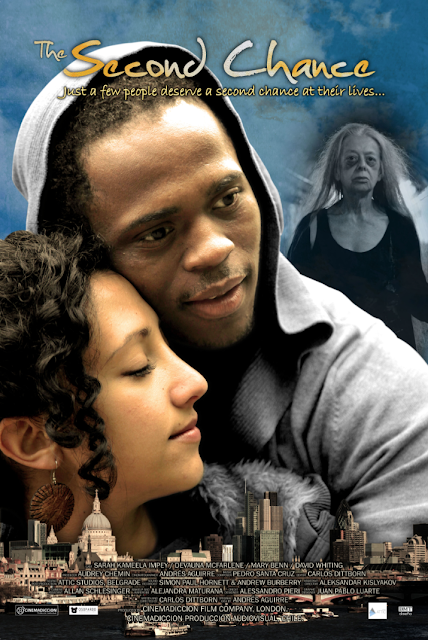 The work filmed in London, United Kingdom is spoken entirely in English, with British cast and a team of international professionals from Chile, France, Bulgaria, England, Italy, Brazil and Colombia. The project was developed during five months of planing, was filmed in various locations in London on 19 and 20 May, 2012. Sarah Kameela Impey as Kameela. Mary Benn as Strange Woman. David Whiting as The Car Driver. Morgan y Kameela son una pareja joven que sueña con iniciar una nueva etapa en sus vidas, pero por un error impulsivo Morgan se enfrenta a una extraña mujer que cambiará sus destinos para siempre. Deberán hacer frente a la posibilidad de perder sus sueños, pero ¿qué pasa si el amor puro puede cambiar los acontecimientos de la vida? Sound Post-Production byAttic Studio / Belgrade, Serbia. Sound Mix & Mastering by Mićun Jauković, Dako Puač, Nenad Aleksić.